If something does not work, always check if vanilla CoH works first. 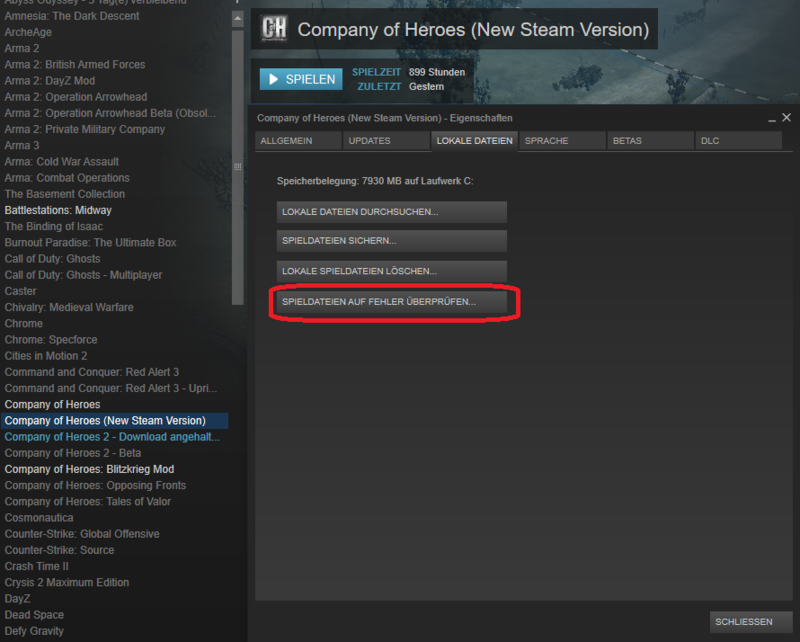 Just start 'Company of Heroes (New Steam Version)' in your steam library. If this does not work too, it's probably not a problem with the mod itself. Here are some common problems listed, including a (mostly) working solution. DO NOT POST IF YOU DID NOT BOUGHT THE STEAM ORIGINAL GAME, OR IF YOU DO NOT HAVE AN ORIGINAL LICENSE KEY OF THE GAME TO REGISTER YOUR COH ON STEAM, WE DON'T AND CAN'T HELP YOU TO FIX YOUR TECHNICAL PROBLEMS ON PIRATES COPY OF COH WHO CAN'T BE UPDATED AND WILL BUG/CRASH YOUR GAME! ON TOP OF THAT, IT IS ILLEGAL, Buy the game, it cost peanuts, you will Have much less troubles and will not waiste our time searching something who work perfectly well on the original game! Click OK and rename it to 'CoH Blitzkrieg Mod' or something similar. You can select another icon for it too if you want. 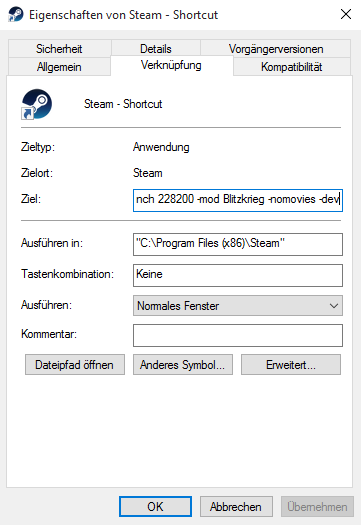 Just start BK Mod using this shortcut, and it should work. If it's still not working, restart Steam and try running Steam as Admin. Rename the folder or delete it. The default configuration will be restored automatically once you start CoH again. Note that replays, savegames and other game settings are inside this folder, so it's highly recommended to make a backup of the folder. Just rename it to something like 'Company of Heroes Relaunch - BACKUP', so it doesn't keep the original name. Go to C:\Users\WINDOWS_USERNAME\Documents\My Games\Company of Heroes Relaunch, rightclick the playback folder and select properties. Set it read-only, so the .temp replay can't be created anymore. Note that CoH won't create replays automatically anymore then. You may won't be able to save them anymore too, so this is rather a bad solution. There can be different reasons for this. If this happens in vanilla CoH too, your graphics card is probably too old. If you kept everything from the older OS and didn't deleted and reinstalled everything, you may get problems with running Company of Heroes or other games via Steam. The best solution is to completely delete Steam, all Steam games you having installed and everything else related to steam. Then install Steam again, download and install Company of Heroes (New Steam Version) and start it at least once, before you install BK Mod. If you don't want to reinstall everything, you can let Steam verify your game files too. Go into your Steam library, rightclick Company of Heroes (New Steam Version), click properties and select 'Verify integrity of game cache...' in the Local files tab. You can find an article directly from Steam Support here too. It's described there pretty well. If the problem isn't listed here, or the solution does not work, start your own thread including as much information as possible. If possible, provide screenshots, the warnings log, system specifications (dxdiag export) and other infos that may be relevant. How to post the warnings log or a dxdiag export? Last edited by Armynator on 03 May 2016, 16:17, edited 4 times in total. My problem is number 2 but i don't have company of heroes relaunch folder . . .
Might be you've played a custom map? 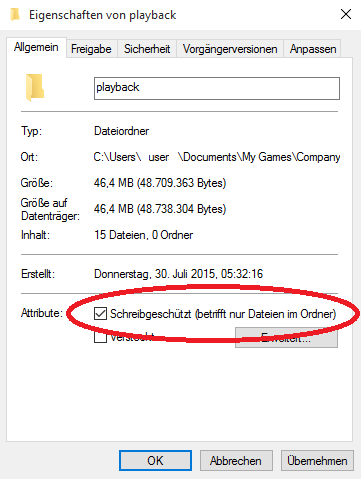 Try to delete C:\Users\_insert_username_here\Documents\My Games\Company of Heroes Relaunch\playback\temp.rec. If it doesn't help, just reinstall whole mod or even whole coh. Will be much quicker than figuring out the problem. delete temp.rec and after it creates a new file, make it read only. I have the number two problem, and i followed the instructions with no succes. Is there another thing i could try out? PS i tired this with the new steam version, and with the seperate Tales of valour on steam both didnt work. From before i remember a lot of different maps, but i only see a few BK-mod ones too, when joining a game i can join those maps, but cnt accualy pick them in Host game menu. Hey, im sorry for small offtop, but what may be an issue that im unable to set Terrain details to Ultra? 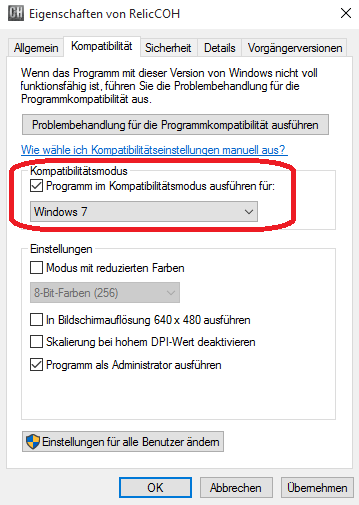 It is simply greyed out for me, only High settings are available. Also, every time i set Antianallising to 8xQ CSAA it resets my Resolution to standart square 1280x1024 and doesnt save new settings anyhow. What may be an issue? My PC is also fairly new, late 2017 card and CPU, so im kinda surprised since i havent checked settings previously..
in order to enable Ultra terrain, you will first need to set "Shader Quality" at Ultra. And that's not recommended because it would eventually force CoH to use Dx10 which is not very well optimized with this old game engine.. the same way with A-A settings, you gotta keep it at x4 maximum, no matter how good your PC is. The most important option though, is the "Model Detail" cursor, that one has to be at MAX value, otherwise you might experience very unsettling invisible unit models that keep disappearing at the edges of the screen.. even when all your other settings are ultra. Cheers, but on the pic provided by PzBlitz, i can see that his Shader quality is set to high, though Terrain detalisation is Ultra, that confused me, as well as A-A there is equals 8.
mofetagalactica wrote: I was never able to fix the purple missing texture on the sherman gunner, and i tried everything already. this aint normal, if your graphics are set the correct way, the gunner should be visible, if you still have the texture missing, it means your textures files are corrupted. Its just weird that 99.9% of people don't have this problems, is it related to your graphic card? what kind of GPU you have? I see the gunner, the texture is corrupted, i have a 1050gtx, i have my drivers updated, tried reinstalling, tried searching for missing files. Out of curiosity...what resolution do you use in CoH? 1920x1080 , tried with other res, thats not the problem.